Yes - it is possible to have audi-style headlights without dismantling the headlight. 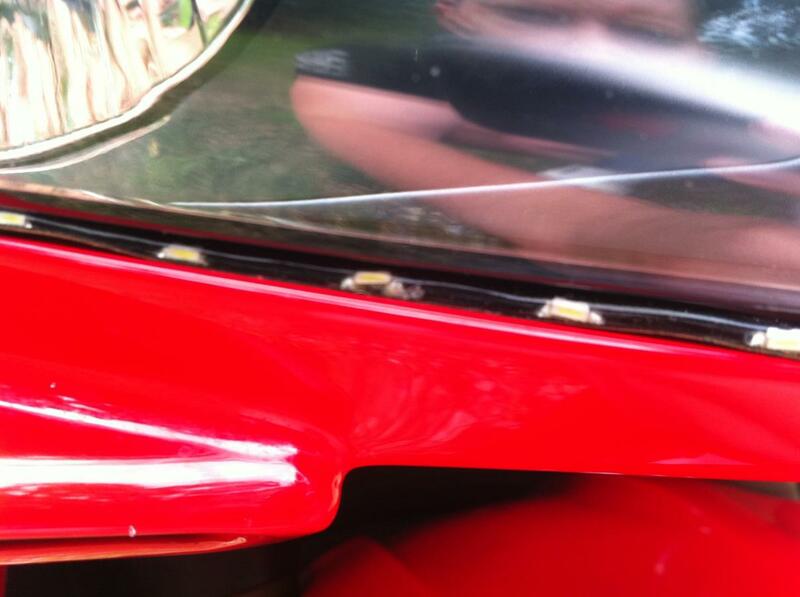 At least on a '02 F4i, there is enough space to fit a side-emitting led between the headlight and the fairing. I didn't do a complete install yet because I had HID's on the way. But after I get those in i will see how these look and possibly do a full install w/ switch. Figured this might be useful for people to know its possible, and easy. Good info, have any better pics? Mind you i did not do a full install so the wires are hanging out and it is hooked up to a 9v battery. to do a full install you would need to take off the front fairing and apply it to the underside of the headlight. Also I only had a 6" led to test it out. But again, its possible and easy to do audi-style headlights without ripping apart your headlights. What are you using to good it the led there? where did you purchase your led from? 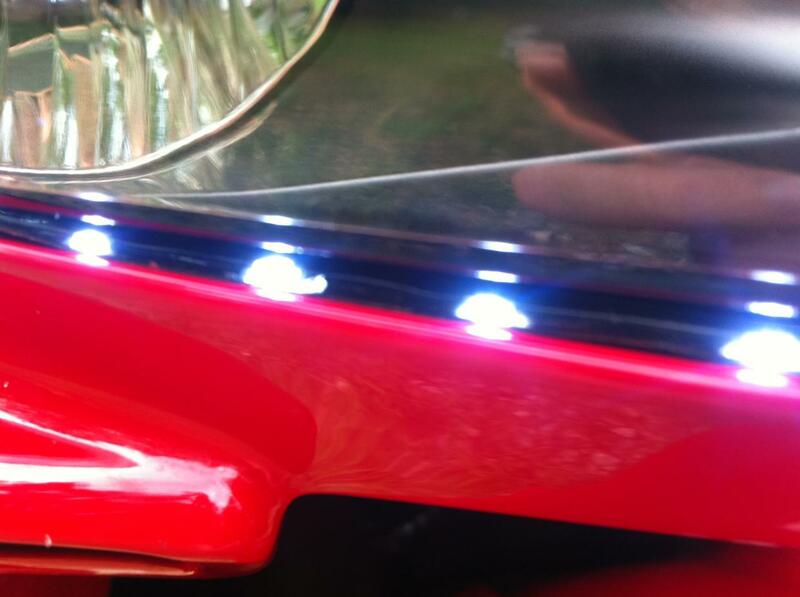 Anyone try Audi R8 style LEDs on a bike?